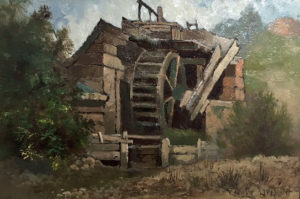 Edwin Deakin was an English-born, self-taught painter who came to California from the Midwest in 1870 and spent the rest of his life as a resident Bay Area painter. 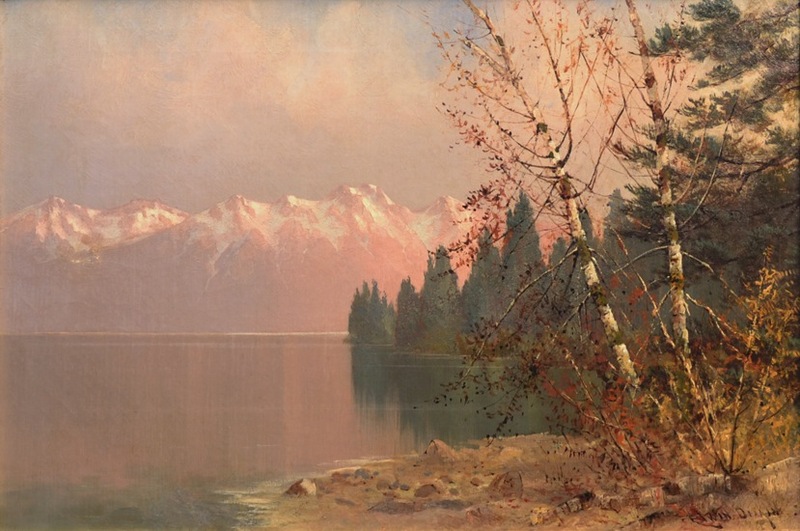 In his early career, Deakin concentrated on landscape, making several sketching tours to Lake Tahoe and Yosemite in the 1870s. 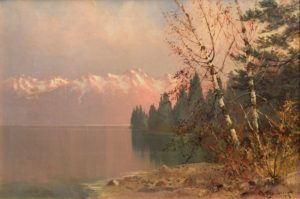 He became noted for the adventurousness of these excursions, the Illustrated Press reporting in 1874 that he had just been “wandering in parts of the Sierras, until his advent never trod by the foot of the painter.” (August 1874). 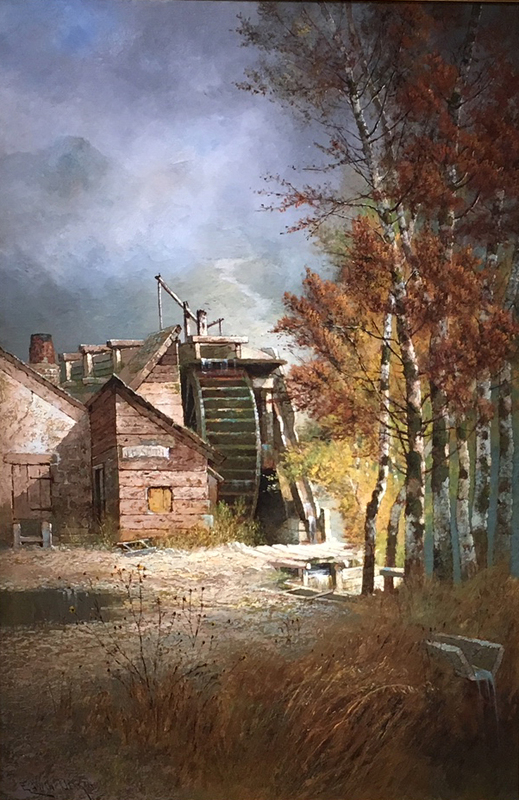 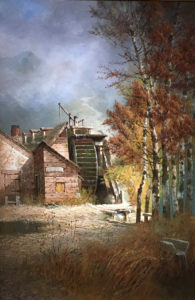 Although Deakin would expand his repertory to include architectural subjects like the California missions and still life paintings, he never abandoned landscape.